Brand Beckham’s latest public relations move, er, club move sees him head to petro-dollar backed Paris Saint Germain where he will play for free through June in hopes of clinching a multimillion dolllar ambassador role for the World Cup in Qatar (well, that’s my guess). Here’s the reaction of Lawndale’s Kei Kamara to joining EPL club Norwich City. Here’s how Chivas USA fared Wednesday in their second preseason scrimmage. Chivas USA forward Bradford Jamieson of Los Angeles will join the U.S. U-17 team for a camp in Carson that includes a scrimmage Friday against the Galaxy. Full roster here. It appears Galaxy coach Bruce Arena got his wish. Arena, who had expressed interest in hosting the Mexican League champions at Home Depot Center, will lead the Galaxy against the Xolos at 7:30 p.m. Feb. 19 in Carson. Don’t expect to see the club’s top players, however; Club Tijuana opens their Copa Libertadores campaign that same evening against Colombian club Millonarios. Tickets for the game in carson are $10; season ticket holders receive a pair free. Also, from the Galaxy: In addition to the game between the Galaxy and Club Tijuana, fans will be able to watch some of the two clubs’ top young talent in action for free as the Galaxy Academy U-18 side will face Tijuana’s U-18’s on Field #5 at The Home Depot Center starting at 4:30 p.m. Stadium gates will then open at 6 p.m. with Galaxy President Chris Klein, AEG Sports Chief Operating Officer Kelly Cheeseman and Galaxy General Manager and Head Coach Bruce Arena sitting down with fans for a town hall style meeting at the front of section 132 on the East side of the stadium, starting at 6:30 p.m.
Kei’s House: Carrow Road, home of EPL club Norwich City and now Lawndale’s Kei Kamara (and yes, that’s me on the right being given a personal tour of the stadium by a very kind Norwich City employee back in 2006). 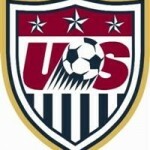 The knives were out from commentators in the wake of the insipid U.S. offensive performance against a young Canadian team trying to keep the score down in a less than compelling 0-0 tie Tuesday night in Houston that served mainly to show how lacking in inspiration the Americans are without the Galaxy’s landon Donovan. SI.com: Omar Gonzalez, 6.5 — All eyes were on Gonzalez Tuesday to see what he could do in a national team uniform. Only problem is, he was never really tested defensively, so it’s hard to take much away from his performance. Gonzalez’s distribution was sound, and he was an asset in the attack, with his header off a feed from Benny Feilhaber in the second half being the closest USA came to scoring. Even though Gonzalez didn’t do anything to really raise his stock, he did not hurt it either. He likely has himself a ticket to San Pedro Sula next week for a place on the U.S. roster that will take on Honduras. MLS.com: Omar Gonzalez (6.5) – It was a clean outing from the LA Galaxy defender. Gonzo would have been the star if he’d been able to put away one of those restarts. Soccer America: 6 Omar Gonzalez (Los Angeles Galaxy) 3/0. Strong in the air and confident on the ground, Gonzalez also asserted himself in other ways. He looked like a leader, gesturing to his teammates and organizing them as necessary, since he had the middle locked down. On a well-timed leap he headed a free kick over the crossbar and he also served well as a decoy to draw defenders. A.J. DeLaGarza did not see action. *LONDON (AP) — David Beckham is training with Arsenal as he considers his playing future. Arsenal manager Arsene Wenger says the former England captain called to ask if he could work on his fitness at the club’s training base outside London. of a six-year stint in MLS..
Wenger stressed Tuesday that Beckham is only training with Arsenal and will not be signing with the club. The 37-year-old Beckham, a former Manchester United star, is mulling offers from clubs around the world. *Galaxy defender Omar Gonzalez is getting his third U.S. cap tonight as the 6 p.m. game against Canada on ESPN2 gets under way. *Former Chivas USA coach Robin Fraser has reportedly surfaced with Red Bull New York. *The Galaxy announced Monday that former player Chris Klein will head up the Galaxy’s front office as club president, which may be a different title, but is essentially the same job as the one the fired Tom Payne used to hold. *FC Santa Clarita storm provides the opposition for Chivas USA’s second preseason scrimmage set for 11 a.m. on field 6 at Home Depot Center. Fans are welcome to attend. *Seven organizations in Southern California have received more than $130,000 in U.S. Soccer Foundation grants including the cities of Manhattan Beach, El Monte and the El Rancho Unified School District. The game from Houston kicks off at 6 p.m. on ESPN2 with the World Cup in Brazil 499 days away as of today (and Mexico plays Denmark at 7 p.m. Wednesday on ESPN2, BTW). Associated Press Sports Writer Chris Duncan has more: HOUSTON (AP) — With injuries to Steve Cherundolo and Fabian Johnson, and Danny Williams’ lack of playing time, the U.S. has defensive worries heading into next week’s World Cup qualifier at Honduras, the opener in the final round to get to next year’s tournament in Brazil. The Americans play an exhibition against Canada on Tuesday night, their only tuneup this year before the Feb. 6 qualifier in San Pedro Sula. Regulars such as Jozy Altidore, Clint Dempsey and Michael Bradley remained with their European clubs for games this weekend and will meet up with the national team on Sunday in Miami. Cherundolo and Johnson both sat out games with their German clubs last weekend, and defender Steven Beitashour left the team’s three-week training camp in California following surgery to repair a sports hernia. Coach Jurgen Klinsmann says he’ll consider “all the alternatives” at outside backs. One possible replacement is Timmy Chandler, recommitted to playing for the U.S. late last year and started at right back in an exhibition match with Russia. Born in Germany, Chandler, who plays for Nuremburg, would become tied to the American national team if he plays in a qualifier. The outside backs in the January camp included Tony Beltran, A.J. DeLaGarza, Connor Lade, Alfredo Morales and Justin Morrow. A total of 23 players went through Klinsmann’s January camp and 18 will suit up against Canada, already eliminated from qualifying. Klinsmann is encouraged by the growing depth he sees in the American player pool. Landon Donovan is not part of the U.S. team’s immediate plans. The 30-year-old midfielder, the American career leader in goals and assists, said before the MLS Cup he would take an indefinite break from soccer. Galaxy coach Bruce Arena said last week that he expects Donovan to return to the MLS this season, and Klinsmann wants to see how Donovan looks before the U.S. team recalls him. Among the players in the January camp, forward Eddie Johnson and midfielder Graham Zusi would seem likely to make the roster for Honduras after starting the last two qualifiers in 2012. Zusi caught Klinsmann’s attention in January camp after a strong 2011 with Sporting Kansas City and he ended up with national team appearances in 2012, including three starts in World Cup qualifiers. 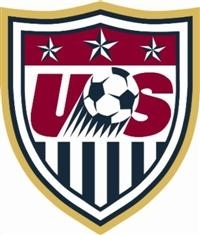 Klinsmann became the U.S. coach in July 2011 and the Americans went 9-2-3 in 2012, including landmark wins in exhibitions at Italy and Mexico. With World Cup qualifying and the CONCACAF Gold Cup on the schedule this season, Johnson said he sensed a high level of intensity during the January practices. Canada, fielding its youngest roster since 2006, is coming off a 4-0 loss to Denmark in Tucson, Ariz., on Saturday. The Galaxy train quietly and privately on one side of the Home Depot Center stadium, their every move hidden behind a screened fence, a legacy of the David Beckham era. With music blaring Chivas USA practices on the other side of the stadium on a sunken pitch that affords the fans they encourage to attend training (currently scheduled for 8 a.m. and 3:30 p.m. weekdays) a perfect view of proceedings . Two different clubs, two distinct cultures. And in this week’s column I explore how the unconventional ideas of new Chivas USA coach Jose Luis Sanchez Sola — who led the club to its first preseason victory in a scrimmage against a college team over the weekend — will fit within MLS and American soccer. Read the column here and let us know what you think in the comments section below. 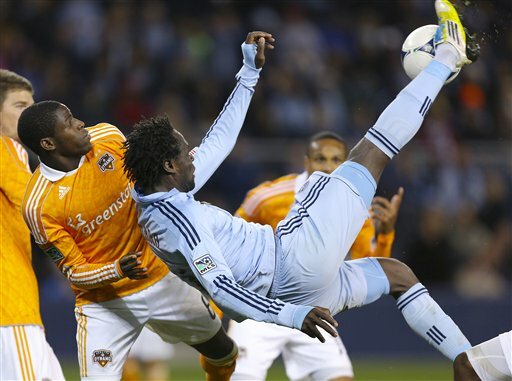 Lawndale’s Kei Kamara could be on his way to England (AP Photo). EPL club Norwich City have admitted interest in Sporting Kansas City striker Kei Kamara, who emigrated from Africa to the South Bay and played at Cal State Dominguez Hills before turning pro. Full disclosure: I’m hopelessly biased as a Norwich fan, but seeing him partner Grant Holt up front would no doubt give the goal shy City attack much more substance. Here’s an update from the U.S. Men’s National Team in Carson where coach Jurgen Klinsmann is talking beer and um, balls, in revealing it was his choice — not Landon Donovan’s — to keep the Galaxy playmaker out of the U.S. camp while he mulls his future. Designated player Shalrie Joseph, who arrived at Chivas last year in mid-season only to see the club promptly collapse defensively, is reportedly on his way out of the club. Finally, here’s one I missed: a Hawthorne resident, former South Bay Force player and Galaxy Academy player has joined what is generally regarded as the top team in Guatemala. Here’s the complete Galaxy preseason roster as issued by the club this afternoon. Players are identified by roster number, position, name, hometown and previous club or college. *Thirteen U.S. cities will host Gold Cup games July 7-28, but Carson’s Home Depot Center wasn’t one of the venues selected. Pasadena was, however, and will presumably host the final. *Brooklyn Beckham, the son of former Galaxy star David Beckham, is reportedly on trial with the U-14 team of EPL club Chelsea. The younger Beckham played for the Galaxy youth Academy, wearing the same No. 23 shirt his father did with the senior team before quitting at the end of last season. *Chivas USA will play the Colorado Rapids Feb 15 in Las Vegas on the UNLV campus as part of the Las Vegas Pro Soccer Challenge. 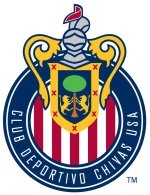 Chivas USA’s first preseason scrimmage is set for 10 9 a.m. Saturday at Home Depot Center against UC Irvine. Fans are welcome to attend the game on Field 6. A week from today, the Goats will play FC Storm on the same field in a 11 a.m. scrimmage. Listen to what the new Chivas USA coach has to say here. *Incidentally, Galaxy coach Bruce Arena has said the team won’t travel during preseason, but will arrange games in Southern California, including one against Mexican League champions Club Tijuana.